Order in the next 1 hour, 16 minutes an 52 seconds for same day shipping. 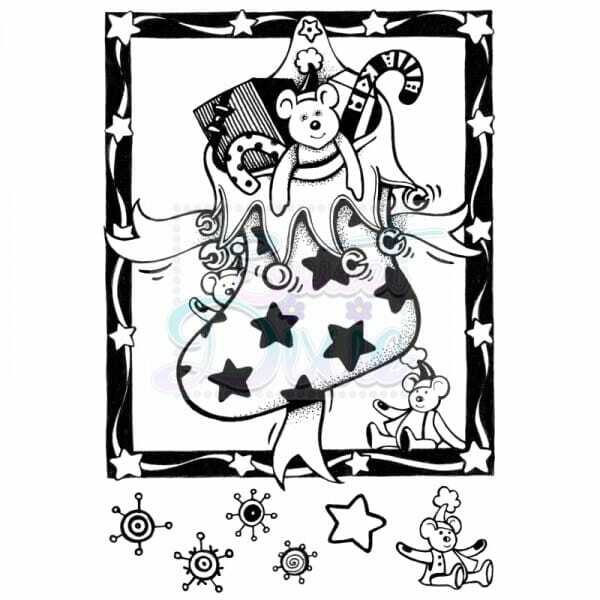 Teddies Christmas Stocking Clear Stamp A6Designed by Cathie Shuttleworth. Clear Stamps are easy to align for precise stamping, they are great for making greeting cards or use on home décor projects. Versatile and easy to use, simply attach to an acrylic block, apply your ink and stamp. After use wash with warm soapy water and dry with a paper towel, stick back onto the original film and store away for the next time. Clear stamps can be used over and over. Customer evaluation for "Cathie Shuttleworth Designs - Teddies Christmas Stocking Clear Stamp A6"